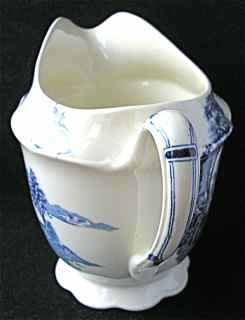 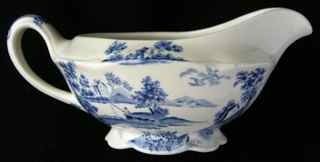 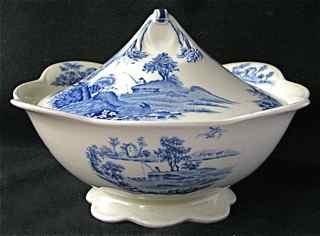 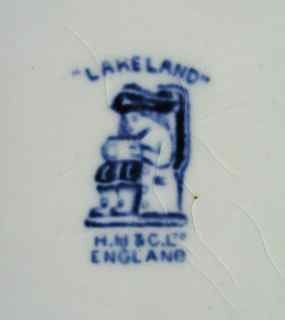 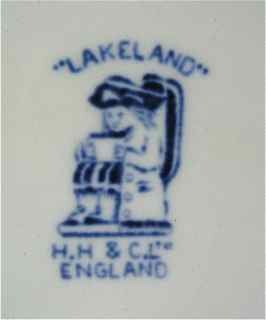 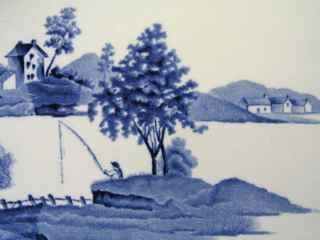 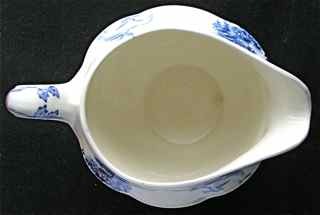 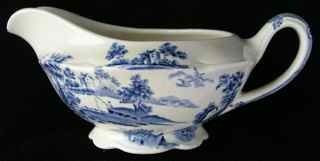 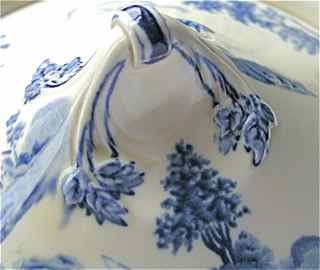 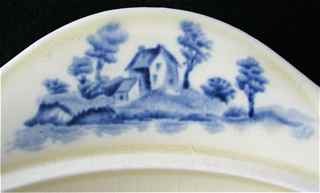 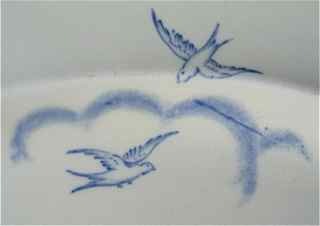 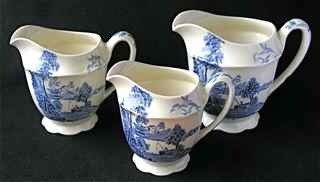 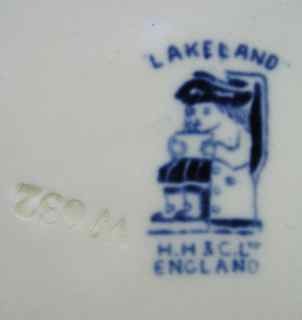 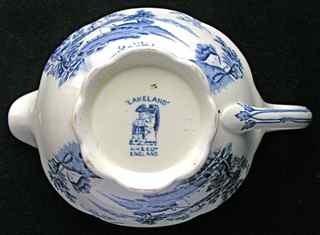 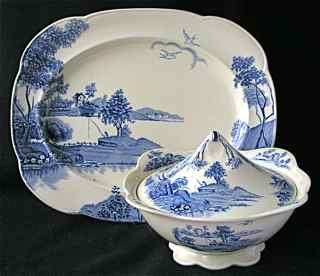 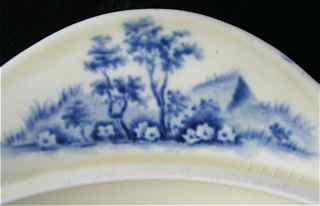 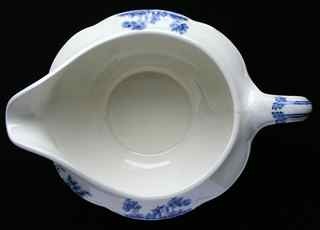 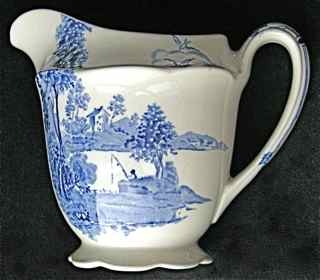 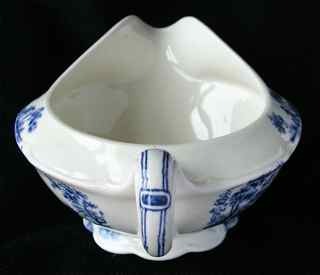 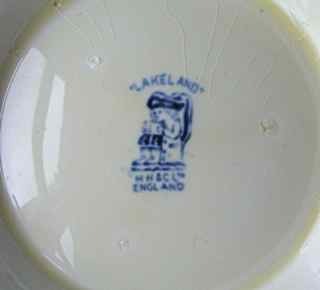 This attractive blue and white pattern on a cream ground dates from c. 1932 and was retailed by the London firm of Hales, Hancock and Godwin, as shown by the HH&G 'Toby jug' mark. 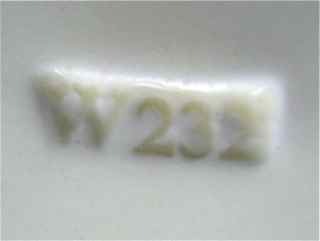 That Woods were the manufacturers is clear from the 'W' in the impressed date marks (eg: W932, indicating a production date of September 1932). 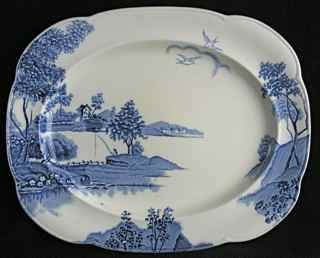 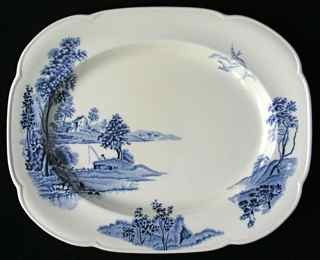 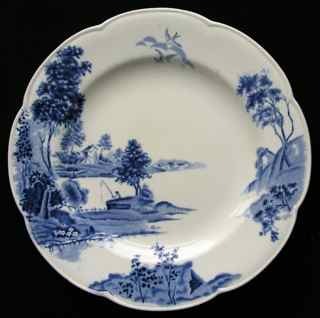 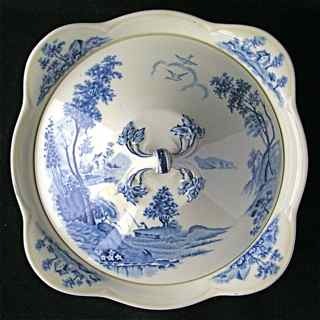 The impressed marks are normally only present on plates, platters or other flatware. 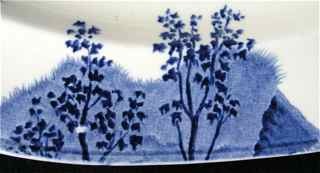 Other Woods patterns sold by this firm (and also bearing the 'Toby jug' mark) include the Frederick Rhead designs Aquila, Golden Moon, Japonica, Orient, Red Parrot and Yellow Parrot. 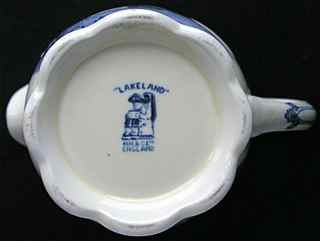 However, since Frederick Rhead left Woods in 1929, Lakeland is unlikely to be one of his designs. 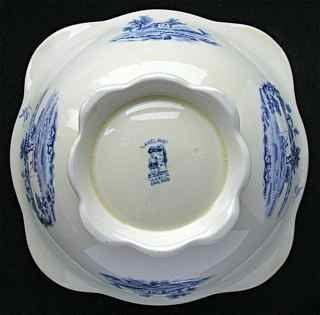 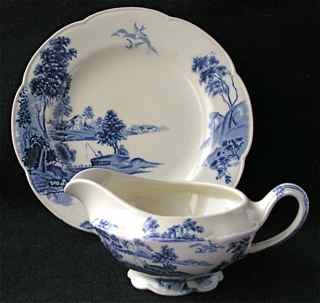 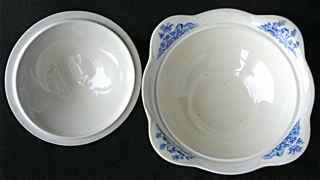 The cream-coloured glaze and unusual shape of the items (especially the tureens) are typical of the early 1930s.